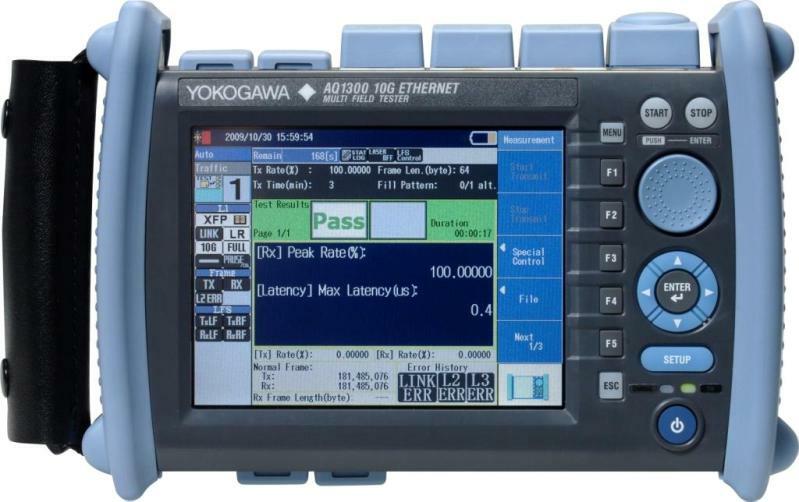 The AQ1300 series is a compact and lightweight Ethernet tester that is designed to improve both work efficiency and quality at the same time, with function optimized for the network path testing and maintenance of Ethernet networks up to 1G or 10G depending on model chosen. 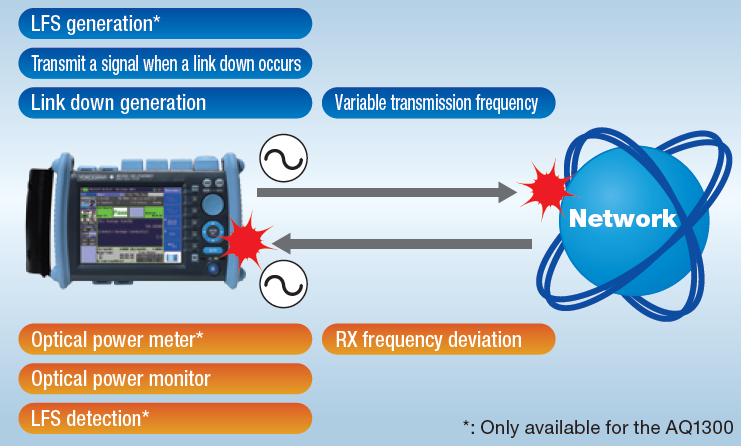 Easy operation prevents operational errors and stabilizes work quality for routine tasks such as network path testing. Powerful analysis functions help isolate failures during maintenance work. 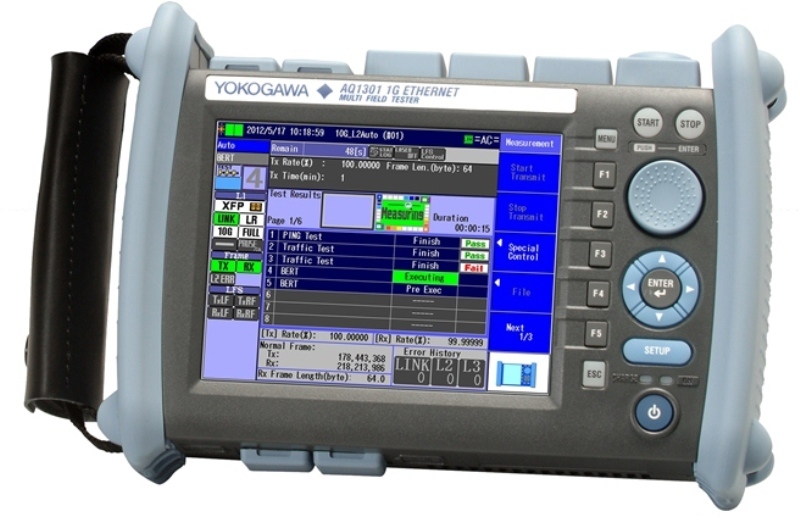 The AQ1300 series has two models, AQ1300 and AQ1301 to choose from depending on the measurement interface and bit rate. You can choose the model suitable for your test needs. Compact and lightweight handheld tester with functionality optimized for the network path testing and maintenance of 10M to 10G Ethernet networks. Integrated functions and field optimized operations in one compact box. designed to improve work efficiency and quality. 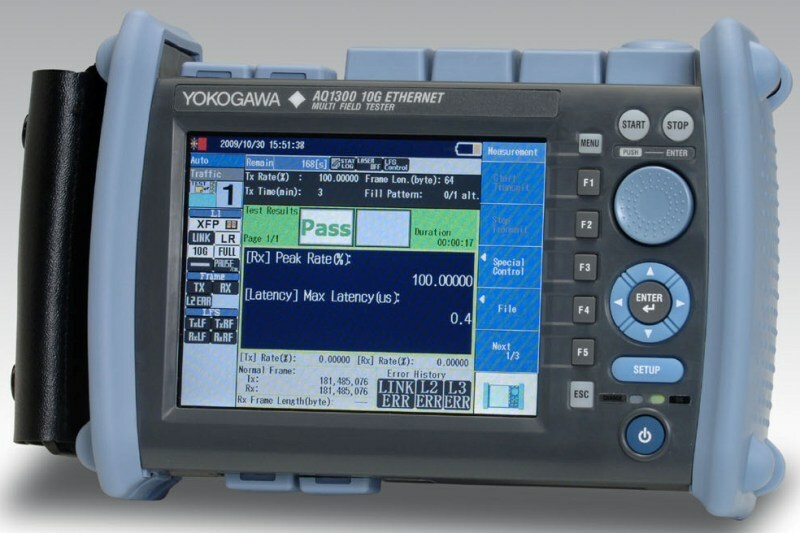 The AQ1300 is the world's smallest in-clas 10G Ethernet Tester. It offers exellent mobility for field work, reduces work load, and ensures work efficiency and safety. The lightweight （Approx. 1.3 kg (2.9 lbs) makes it more comfortable to carry or hold in the hand at work. 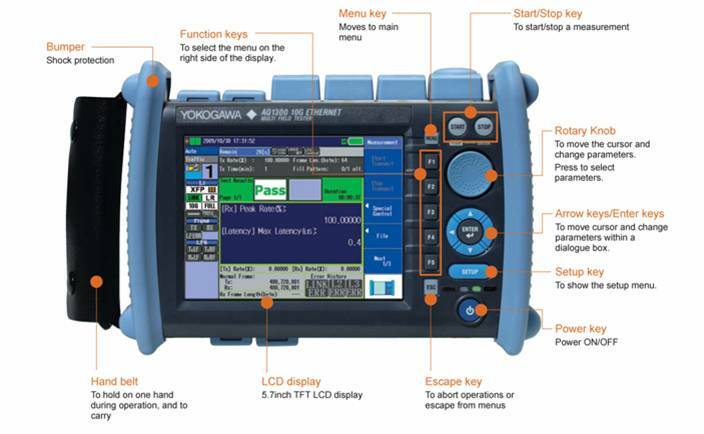 All the functions needed for field performance testing are integrated into a compact unit. The functions are optimized to improve work efficiency in the field where work hours and working conditions are limited. Equipped with a variety of test functions to evaluate Ethernet performance, such as a throughput test, latency measurement, bit error rate test, and PING test. Network path testing or other routine work require not only work efficiency but also that every worker with any skill level can carry out a proper test with the correct procedure and settings. Automated tests using the setup files pre-loaded on the tester ensures consistent work quality. Auto (Remote): Link the two units as master and slave to run automatic tests. The AQ1300 series provides a variety of functions to reproduce the user's traffic environment for more accurate troubleshooting. The screen is laid out so that you can understand the information you need such as the setting items and setting states at a glance and a unified operating system offers stress-free operation. All the menu keys, operation buttons, and rotary knob are laid out on the right side to allow for single hand operation. The large screen improves work efficiency and reduces operational errors and mistakes. The AQ1300 series evaluates the performance of various devices, services, and network systems with an Ethernet interface. It can efficiently and accurately verify whether network systems and services meet the specified quality and functionality. If a failure occurs, it can detect the location and nature of the cause. 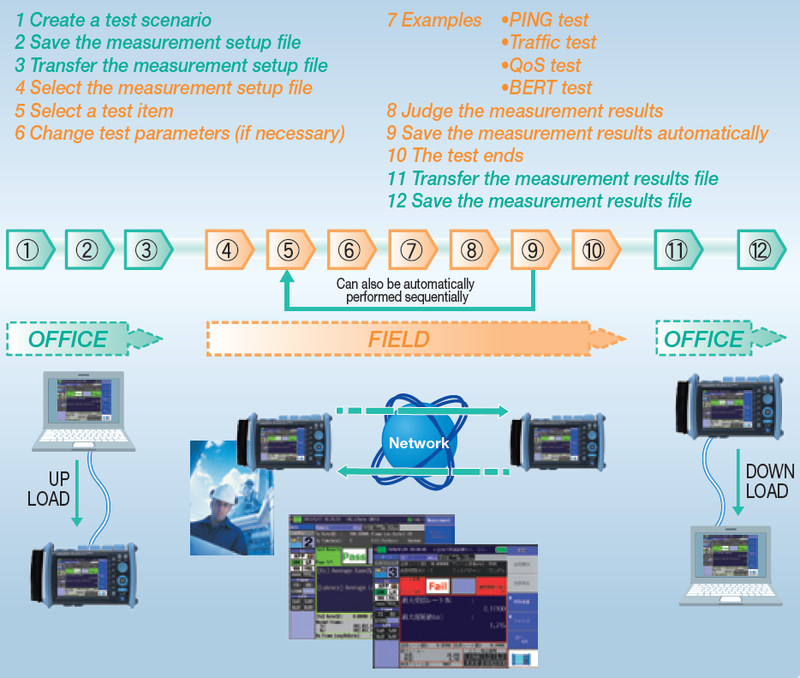 A test scenario that performs multiple tests sequentially can be easily created on a PC, uploaded to an AQ1300/1301, and then performed in the field. Tests are performed automatically and the measurement results are saved automatically. This mode requires minimal training from operator and thus ensures quality and consistent results. The in-band remote function allows the master unit to search for and control slave units located at the far end of the network using a test line to perform synchronized tests. 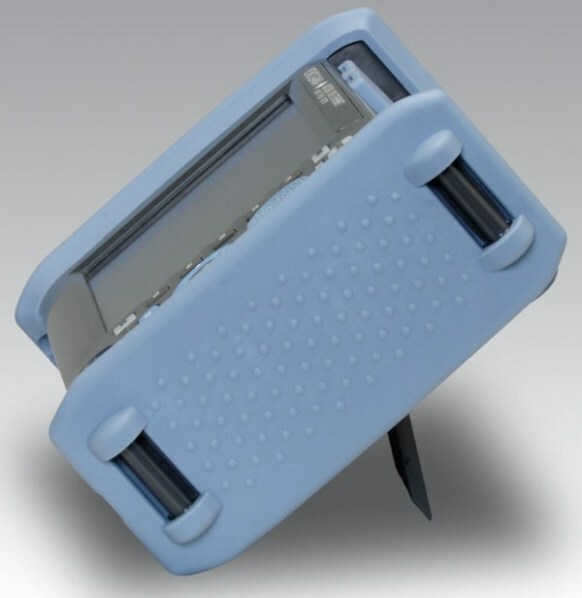 Master can obtain the test results from the slave unit using the inband connection. 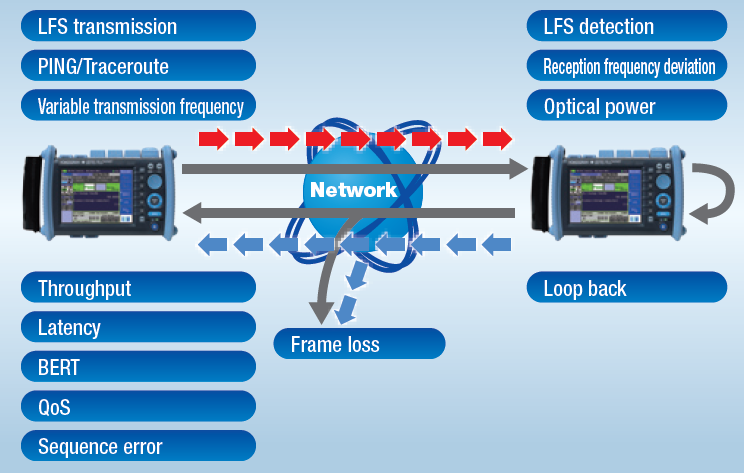 Various physical layer tests can be performed on the spot to effectively analyze network failures caused by physical layer problems such as incompatibility of the transceiver module. Verify layer 3 network connectivity all the way down to the servers and equipment using a hardware-controlled accurate and reliable PING test. Easily verify the performance of networks that provide Quality of Service (QoS) functions such as priority forwarding and bandwidth control. 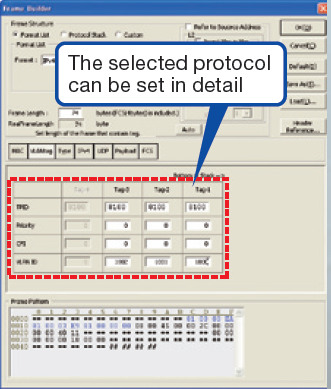 Select the test type from VLAN-CoS, IP-v4-ToS, IPv6-Traffic Class, etc. 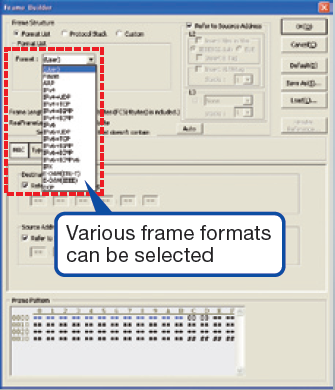 Packet sequence errors can be monitored by counting the number of out-of-order and duplicate packets for example. An automated test function in conformance with RFC2544, the standard benchmarking methodology for evaluation of Ethernet services and network systems performance. USB or LAN can be used as a remote control interface to perform remote control from a PC in a remote location. 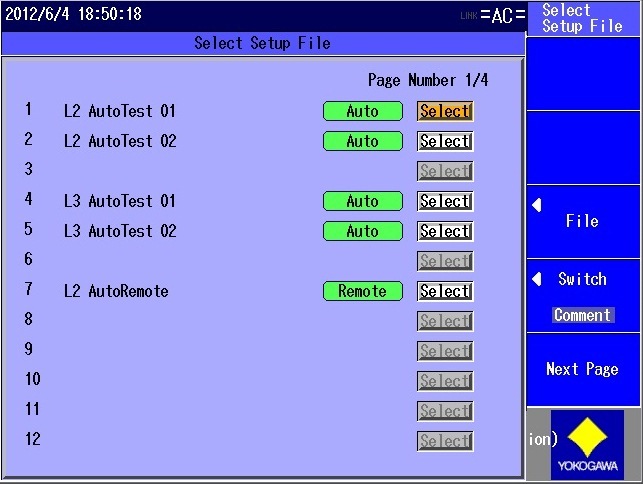 The front panel of the AQ1300/AQ1301 is displayed on the PC screen, so you can perform remote control with the same user interface as that of the AQ1300/AQ1301.